The preview of Windows Server 2012 R2 offers a peek at many of the features due to pop up in Windows 8.1. 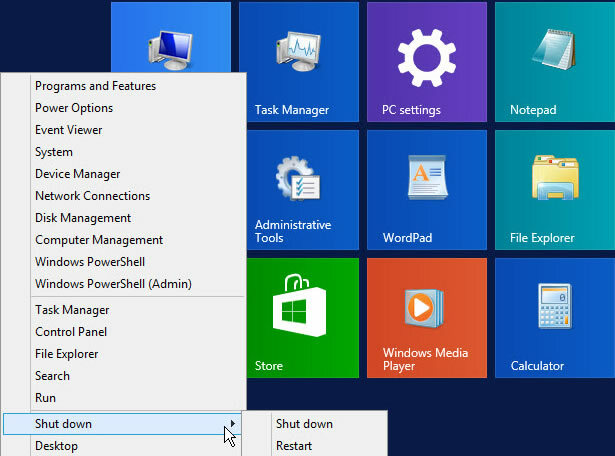 Windows 8.1 will try to make your life a bit easier by letting you shut down or restart your PC from the Start screen. right-click on the new Start button to display the familiar pop-up menu. lets you turn off or restart your device. Users will spot a few other changes in the Windows 8.1 Start screen.